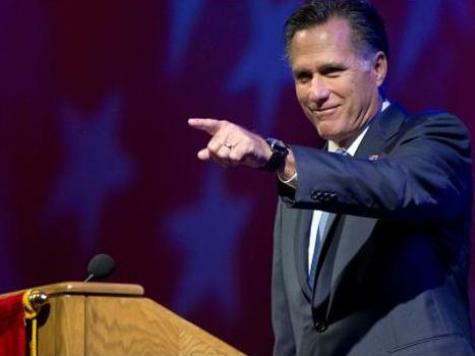 Mitt Romney has taken a commanding 7-point lead over President Barack Obama in another Virginia poll. According to a McLaughlin & Associates poll that had an R+.02 sample, Romney leads Obama in Virginia 51%-44%. Among independents, Romney beats Obama by 11 points, 50%-39%. If these numbers hold for Romney, Romney could be free to expand the electoral map and more aggressively make plays for states like Michigan and Pennsylvania that were considered “reaches” just two weeks ago. In addition, this poll, which has Romney leading by double-digits among independents and has a sample that is more reflective of what the turnout will be in November than other polls, may be a more accurate snapshot of Virginia’s electorate than other mainstream media polls. McLaughlin & Associates conducted the poll among 600 likely voters on October 8 and 9, and the poll’s margin of error is +/- 4%.